Focusky allows users to import PowerPoint documents and continue edit with ease. Then you can learn to how to import contents from PowerPoint documents exactly. 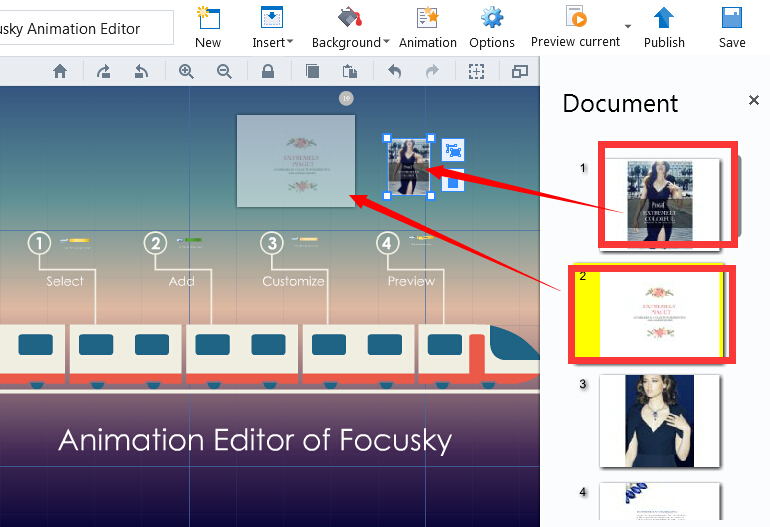 Importing content from PowerPoint documents and adding animation to path content are two well-known features of Focusky presentation software. more than that, Focusky both allows users to import content from PowerPoint documents and create presentation from PowerPoint file directly. 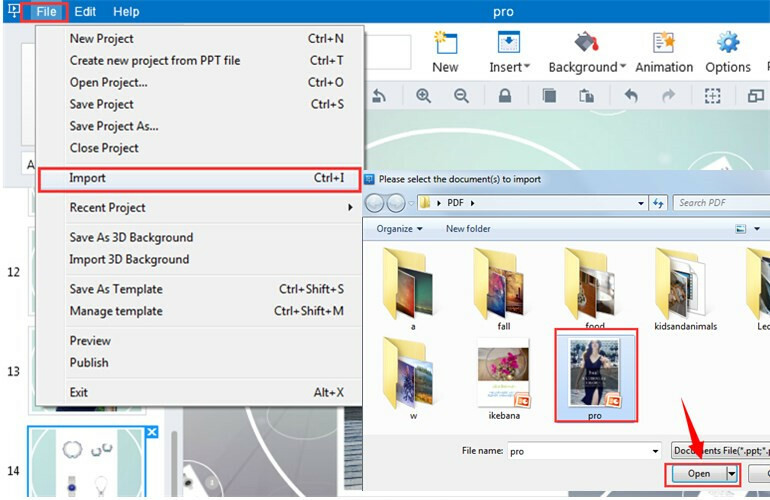 The below is to show you how to import content from PPT. Here is the tutorial video. Click "File—Import" to open a PPT file quickly. Then drag the slide to Focusky canvas and then continue editing as contents. You are able to hide the document list if you don't need it.